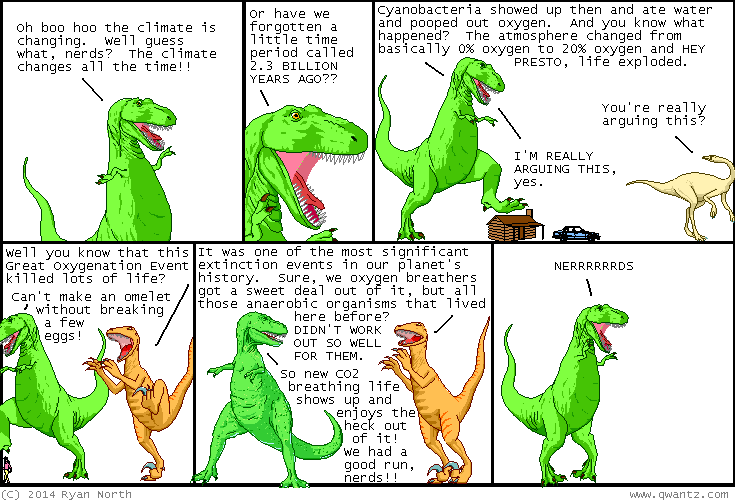 Dinosaur Comics - October 15th, 2014 - awesome fun times! –"Errgh," he grunted, just like I said! October 15th, 2014: BEHIND THE SCENES FACTS: I was really happy with the alt text on this one. BEHIND THE BEHIND THE SCENES FACTS: Did you know if you hold your mouse over the comic you'll get EXTRA JOKES for FREE? ?